It is sure that you already know about the Tarot and all about what this tool can make for you. You also need to know that there are different kinds of cards: the major and the minor arcana and, because of that, you also need to know that there are different kinds of readings and that they can be more or less complete. But, do you know what these readings are? Do you know that you can have some of them for free? Here, we will talk a bit about them and where you can find them. 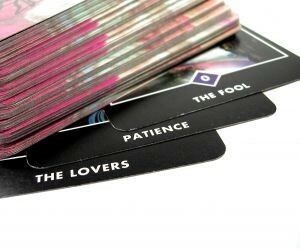 – Complete Tarot Reading: this is a Reading that is done by the astrologers and they need to be in contact with the person, no matter if it is by phone, chat, etc. They are readings that can be done with both arcana or just with the major arcana. Usually, people who need this kind of Reading are looking for answers to the situations they have in their lives and this King of reading offers them the information they are looking for. It also offers these people answers and information about the situations in the past that lead this situation and how the future is going to be for them. – “Yes or no” reading: this is a very simple Reading to do and we can also visit an astrologer for it. However, we can also find it on the Internet and for free. This Reading is very simple and it only answers a question that we have. We just have to choose a single card and then discover the meaning of it to apply to our question. – Three cards reading: this is also a Reading that we can find on the Internet and it is the same as the one mentioned before, but with three cards. We need to choose the three cards that we want (we will not see the figure on them) and then we will discover the figures and the meaning of them. – The Arcana of the Day: The Arcanum of the day is also a Reading that we can find for free on the Internet and it only gives us a card to choose. The meaning of it will be applied to our day so we can know how the day is going to be. Now that you know about the different readings of the Tarot and where you can find them, we recommend you to look for them and use them in your life, as it is a very simple way to improve your days. You will know what the day is going to be and what you can expect about it, as well as it will be easier for you to make important decisions in your life.